Barry Devlin, is a founder of the data warehousing industry. 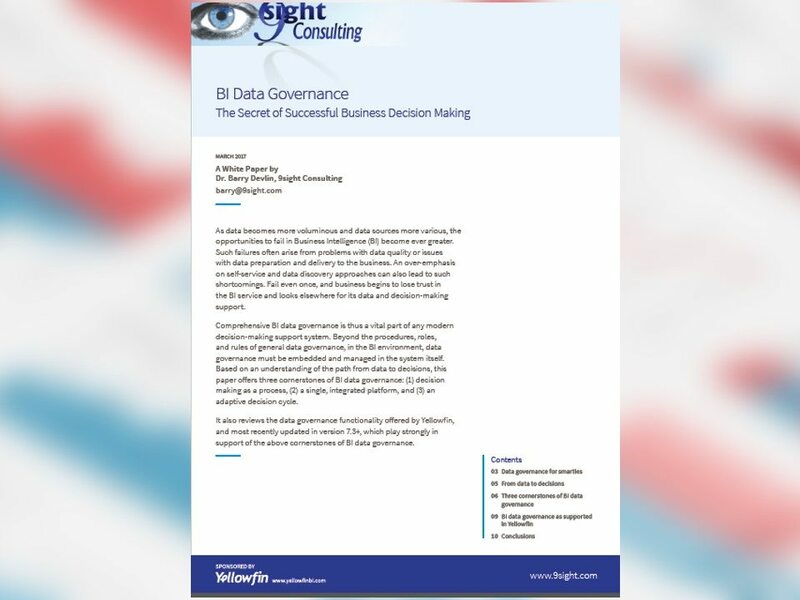 Download Barry’s white paper to discover how to lay the foundations of a comprehensive BI data governance that will maintain trust in your data so your business can make the best decisions. BI data governance is the secret of successful business decision making. Why? Because governance provides a means for the data to be verified so it can be trusted. Human errors in data caused the crash of NASA’s Mars Orbiter when English measurements of rocket thrusts weren’t converted into newtons. That was $125 million-worth of spacecraft. Then there was the omission of a single minus sign in a dividend estimate spreadsheet that resulted in a miscalculation of $2.6 billion for Fidelity Morgan. Make sure your data can be trusted.